Madigan made… a free sports printable. Got a sports fanatic who loves baseball, golf and football? Well, he (or she) may like this project. Remember when I showed you the sports themed subway art I made on my computer? Remember that I got it printed as an 8″x10″ photo and popped it in a frame for our sports themed basement? BUT, if you have someone that likes sports other than golf, football or baseball, then you may be out of luck. And this got me thinking… would any of you like a tutorial about creating these printables yourself? You don’t need a fancy graphics or photo program. If you have the Microsoft Office software package on your computer, you can do it. Let me know, I’d love to show you if there is any interest. 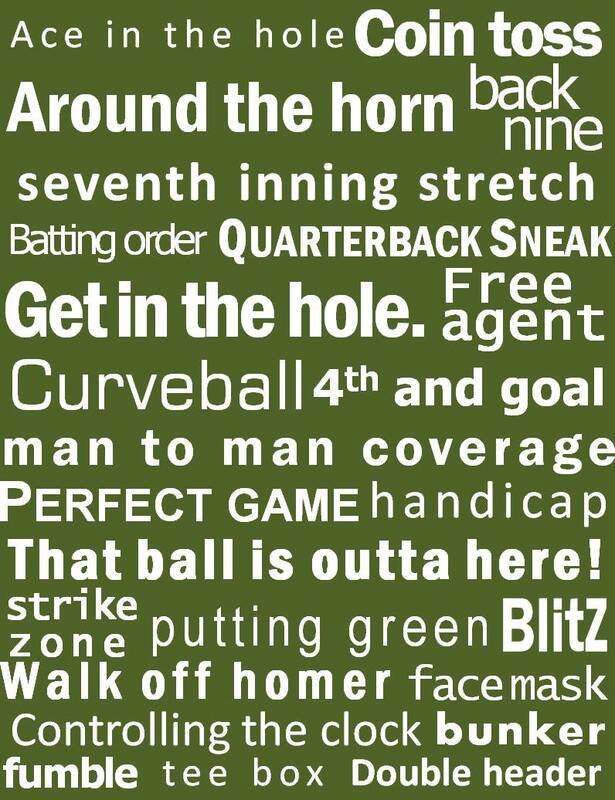 But if you think that this printable I made would work for your sports nut… feel free to use this print! I did create several different background colors that hopefully would meet your decor needs. And if you end up using one of these prints somewhere, I’d love to hear from you and see it!